This time last week, few had heard of the term ‘Inclusion Rider’. 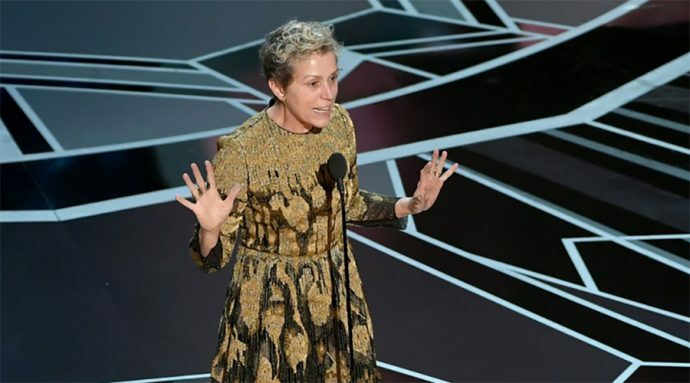 All that changed when Frances McDormand took to the stage at the Academy Awards to receive her gong for ‘Leading Actress’. Did she say writer? Or rider? Google searches spiked and the concept went viral. But what is an ‘Inclusion Rider’? And in the days since McDormand’s speech, what have its effects been? Essentially, an ‘Inclusion Rider’ is a means of ensuring equitable casting and hiring practices in the film industry. It refers to a contractual clause that actors can insist upon, which stipulates race, gender, sexuality and other diversity in the production both onscreen and among the crew. Failure to comply with the ‘Rider’ may result in financial penalties to be paid to funds supporting minority groups. ‘Inclusion Riders’ do not aim to compromise film stories – for example, historical dramas where diverse casts might be anachronistic would be exempt – but to create roles that reflect the demography of where the story is taking place. The idea is not new, but it has gained relevancy alongside the #MeToo and #TimesUp movements. And crucially, it offers the chance to move past the relentless lamentation of inequality by providing a practical and immediate solution. The idea was popularized in a 2016 TED Talk by Professor Stacy Smith on ‘the data behind Hollywood’s sexism’. In it, she discussed the ‘epidemic of invisibility’ of minority peoples whereby on average in the top grossing 800 films between 2007-2015 less than a third of speaking roles – as little as one word – went to women. When she broke this down further by race, sexuality and disability the statistics were dire. As a first pass she mooted that the clause include a minimum of 50% gender parity, 40% inclusion for underrepresented people of colour, 5% LGBTQI+ and 20% disabled. Since the Awards, many have expressed their support for the ‘Inclusion Rider’. 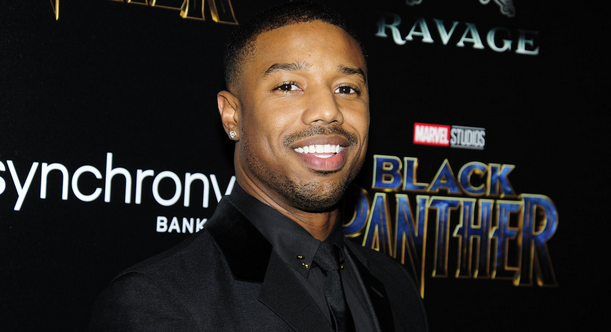 None more committedly than Academy-Award-Winner Brie Larson and Black Panther star, Michael B. Jordan who declared on Thursday that his film production company, Outlier Society Productions, would adopt ‘Inclusion Riders’ for all forthcoming projects. It is, perhaps, unsurprising that a young actress and a young African-American man have been the first to pledge publicly to the egalitarian cause. By contrast, Netflix’ CEO Reed Hastings has publically declined to use the ‘Inclusion Rider’, citing the fact that ‘[Netflix] are not so big on doing everything through agreements … we’re trying to do things creatively’. Indeed, this highlights one of the biggest concerns raised about the ‘Inclusion Rider’ concept, that it is an – unworkable – quota system. Quota is a loaded word. It pits demographics against artistic excellence. It strikes fear that unqualified people will take jobs just because of their background. But this isn’t what ‘Inclusion Riders’ are about. They don’t force companies to hire less qualified people. They merely acknowledge and draw attention to the well statistically documented yet unconscious biases of hiring in the film industry. And they try to be true to a craft that puts a premium on realism and authenticity. Others have declaimed the ‘Inclusion Rider’ as empty posturing by actors who don’t have the power to make such calls. Certainly, very few actors do. But the celebrity of that powerful select group who do is crucial to studio executives’ decisions. Finally, there has been concern over how the ‘Rider’ would be implemented. The Costume Designers’ Guild is 80% female while the Art Directors’ Guild is 70% male. Though it should be noted that – as the name suggests – minority-led organizations are rare, would these two Guilds be subject to the same regulations? The answer is that we don’t know. ‘Inclusion Riders’ are new and imperfect answers to imperfect systems. But this doesn’t mean that they are without value. Complications are inevitable to early-stage ideas and shouldn’t been seen as roadblocks. If we were are brave and honest with ourselves about the diversity problem in the film industry – without placing blame – and the reasons why it is happening, and if we are serious about making a change to an inclusive system, then let these issues and questions be understood as temporary complications that can be untangled and worked through together. Diversity is an undeniable problem in the film industry. ‘Inclusion Riders’ offer a starting point to finding a practical solution. IS WPP ENGINEERING THE END OF THE INDEPENDENT PRODUCTION COMPANY?